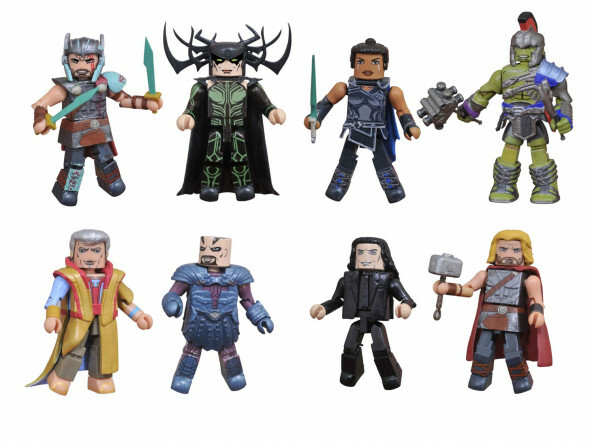 New Marvel Animated Minimates are now at Walgreens! 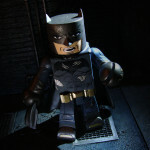 Spider-Man and Captain Marvel headline Series 7 of the exclusive mini-figure line only available at Walgreens stores, and now that they’re popping up across North America, it’s time for Diamond Select Toys to unveil the next batch, featuring new Super Heroes, new Super Villains and new versions of old favorites! 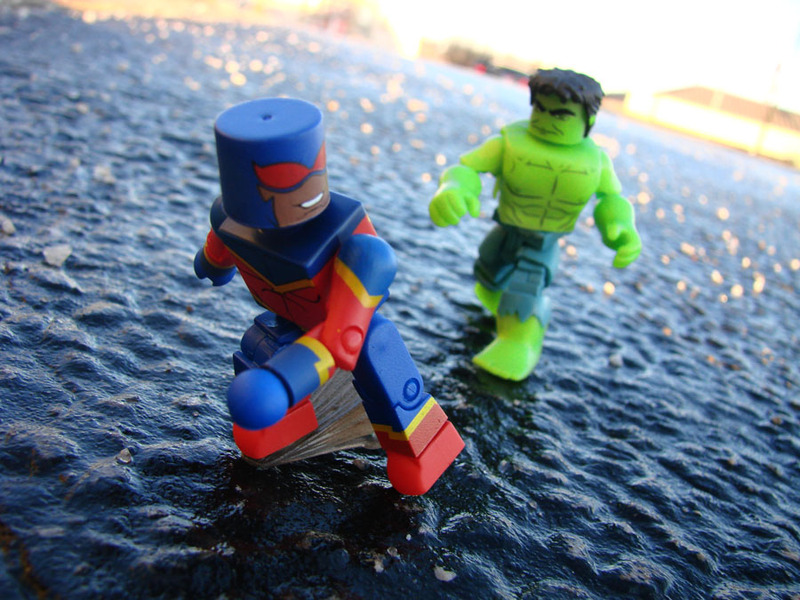 Before Series 8 arrives, look for Series 7 in all Walgreens locations now, capturing the worlds of Marvel’s Spider-Man and Marvel’s Avengers: Secret Wars in an assortment of four packs, each containing two 2-inch Minimates mini-figures. 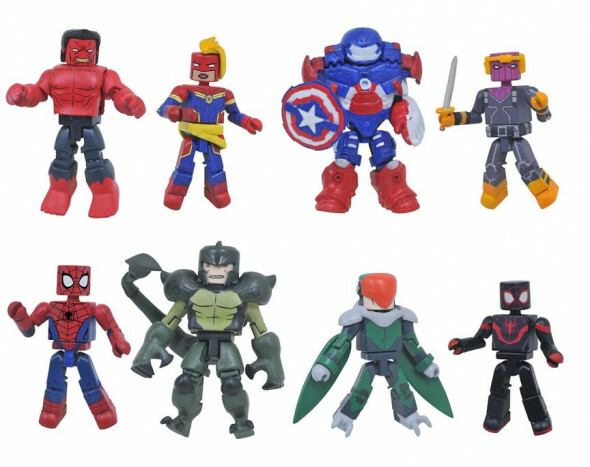 Sets include Spider-Man and Scorpion, Kid Arachnid and Vulture, Captain Marvel with Red Hulk, and Captain America’s Hulkbuster with Baron Zemo! Series 8 will hit Walgreens stores on or around April 1, 2018, and will include four all-new two-packs. 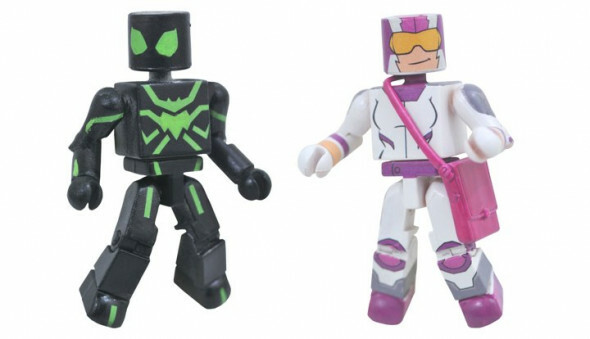 The assortment includes: •	From Marvel’s Spider-Man, Stealth Suit Spider-Man takes on Screwball! 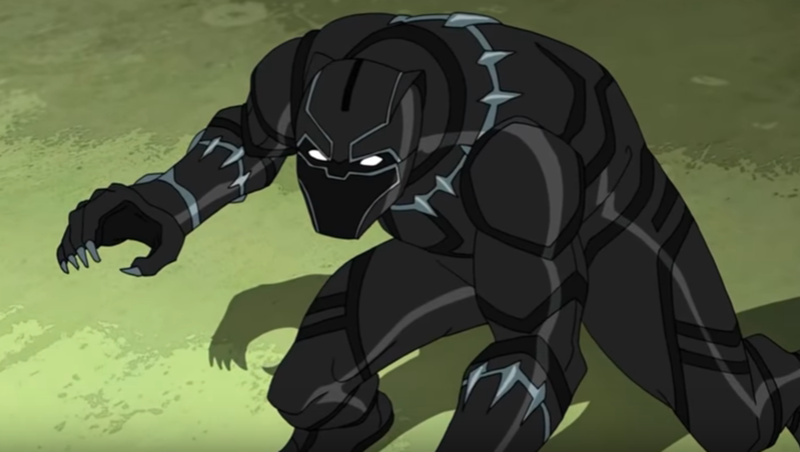 The Internet personality with a mean streak is ready to humiliate Peter Parker in front of millions so Peter has donned his all-black stealth suit to stay below her radar. 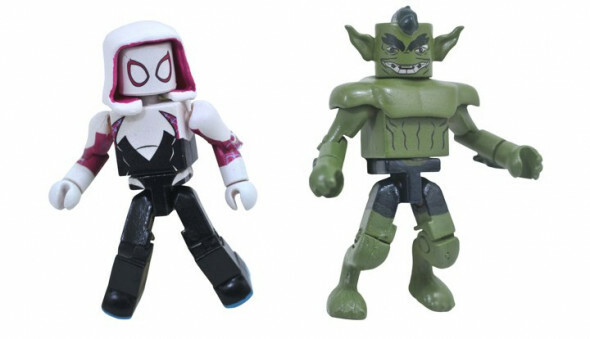 Spider-Man includes a webline accessory and leaping support stand, while Screwball has her pouch full of gear. This is the first Minimate of Screwball! •	Also from Marvel’s Spider-Man, Spider-Gwen, a.k.a. Gwen Stacy, tangles with the Jackal! 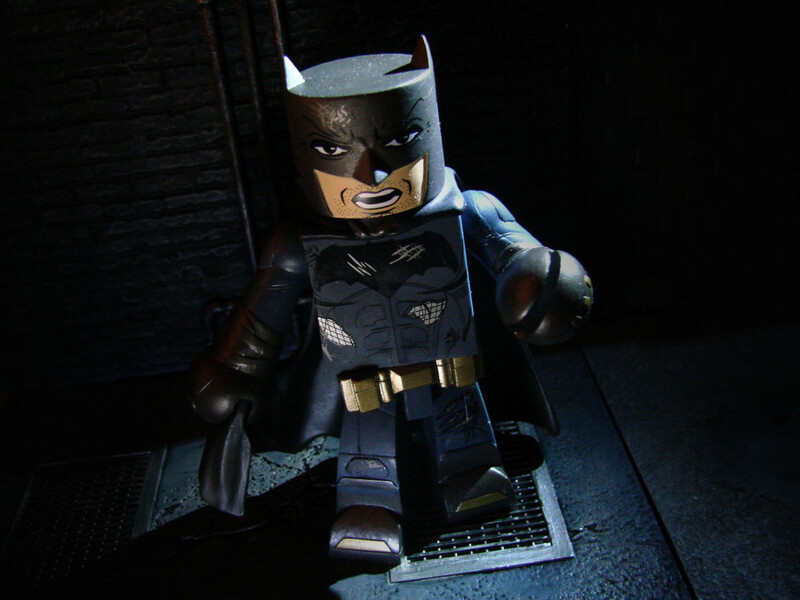 The web-slinger comes with a webline accessory and leaping support stand, while her uncle, Professor Miles Warren, makes his debut in the Marvel Minimates format! 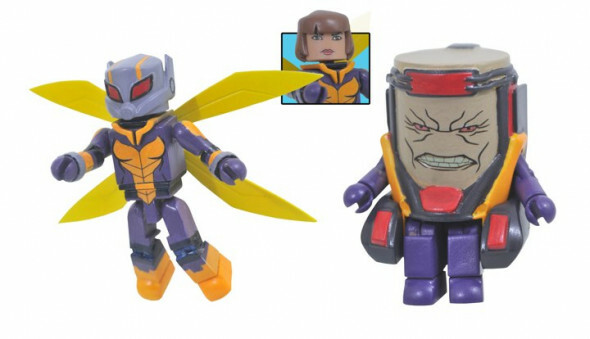 •	From Marvel’s Avengers: Secret Wars, The Wasp is menaced by MODOK! The size-changing heroine includes a removable helmet, detachable wing accessories and a transparent flight stand, while the super-smart, super-sized AIM leader floats on a support stand. •	Also from Marvel’s Avengers: Secret Wars, the Black Panther strikes at the evil Madame Masque! 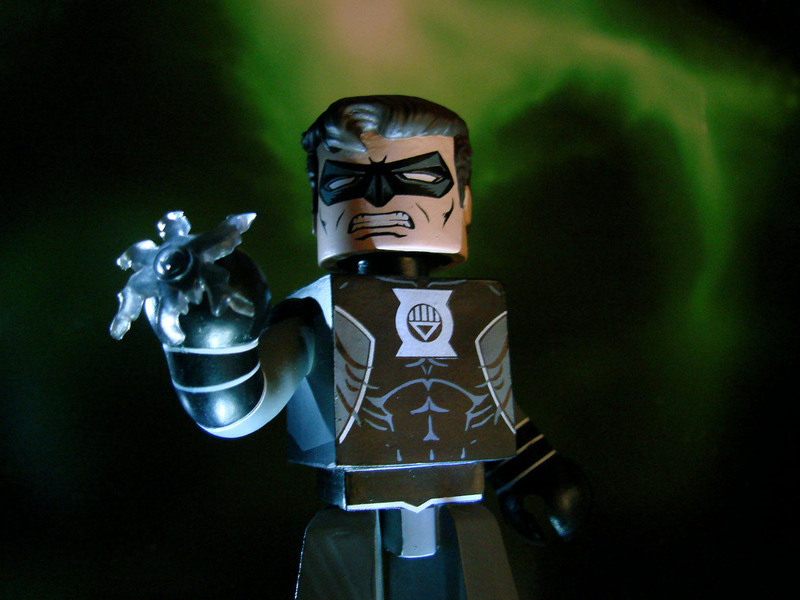 The warrior from Wakanda must defeat the beautiful criminal from Iron Man’s past. 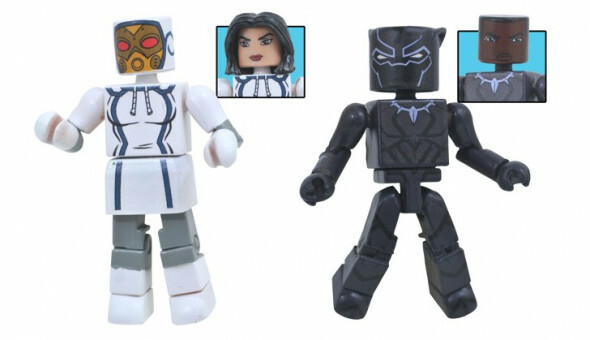 Black Panther includes a removable mask, while Madame Masque includes an interchangeable unmasked head and hair piece. 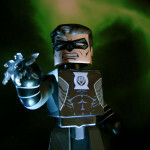 This is the first Madame Masque Minimate ever made! 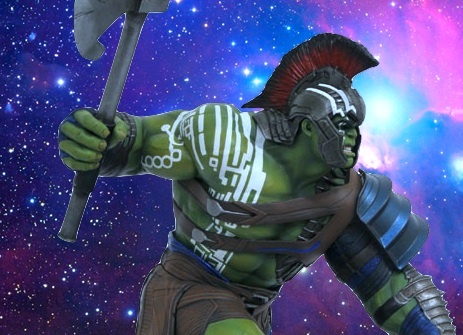 Next Up: On Sale Now: Hulk, Drax, Groot, Superman & More!